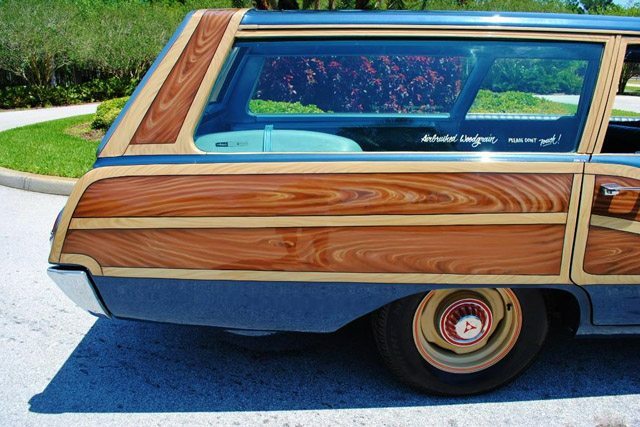 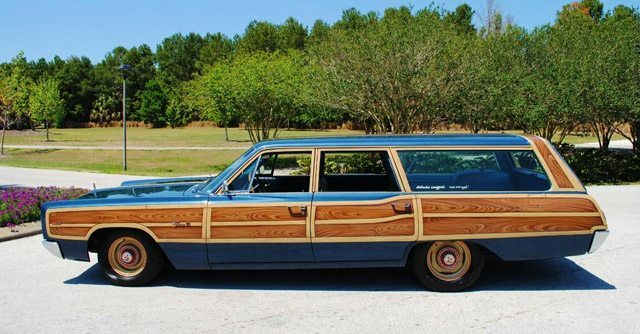 True woodies were gone by 1967, a victim of the expense and effort it took to maintain a car finished in wood. 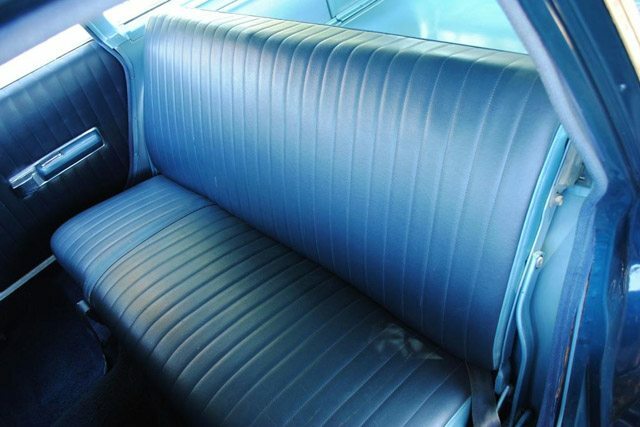 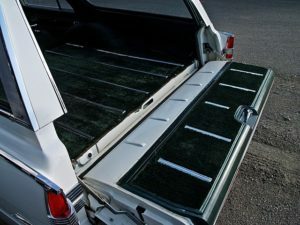 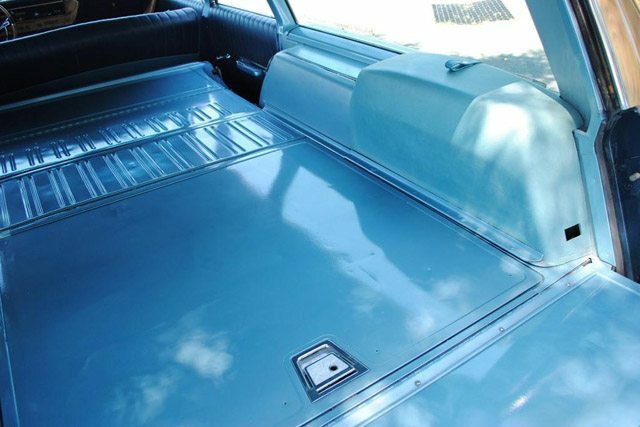 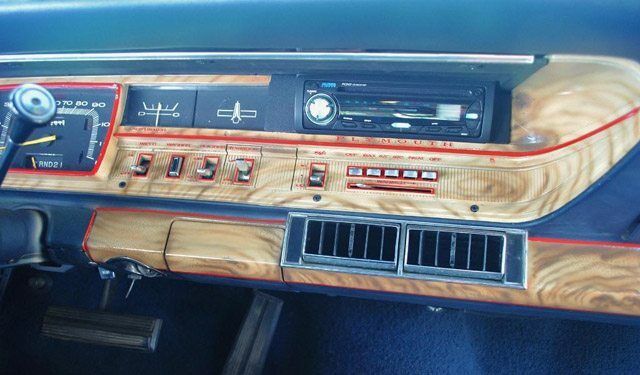 By the 1960’s faux woodgrain and plastic was widely used to maintain the handsome woody look that was still in demand. 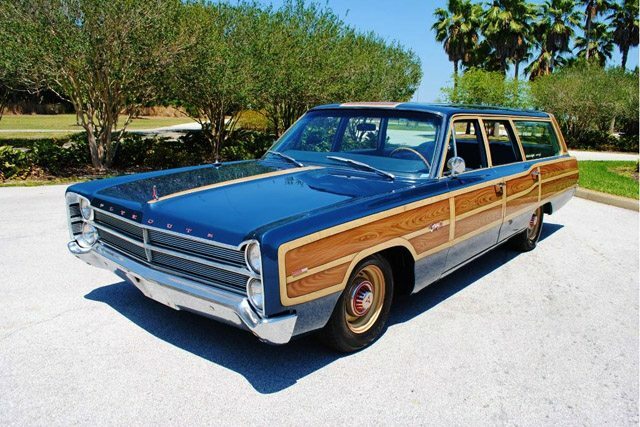 Fast forward 40 plus years later and we have a new take on the woody wagon- a 1967 Plymouth Fury III found on Ebay with a pretty amazing airbrushed woodgrain finish. 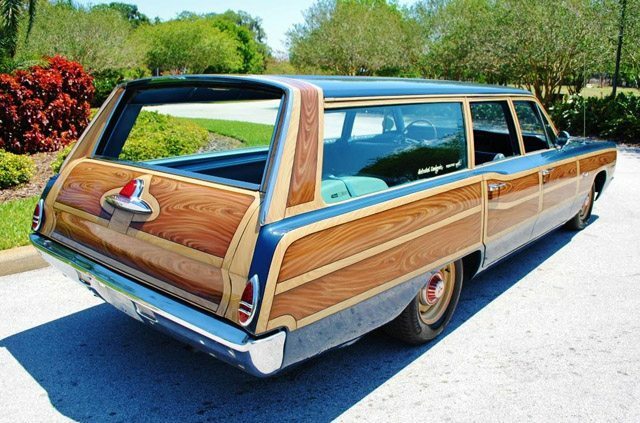 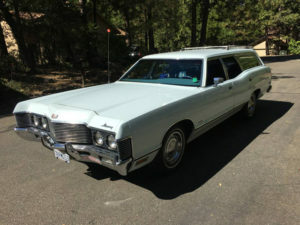 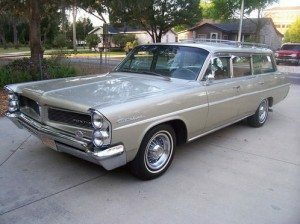 This is probably a love it or hate it car but for me I think it’s a very cool wagon. 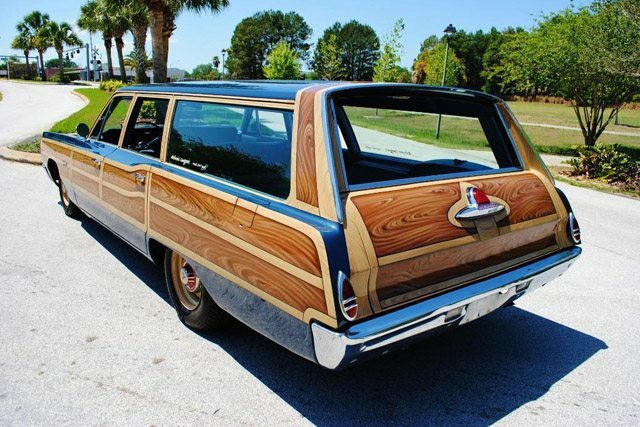 Once you’ve admired painted woodgrain, there is a nice solid car to behold. 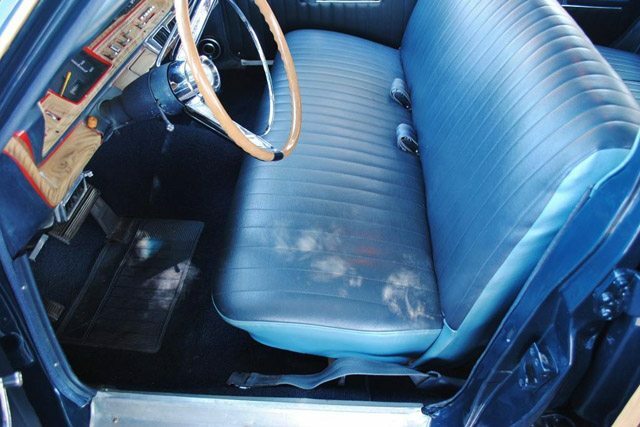 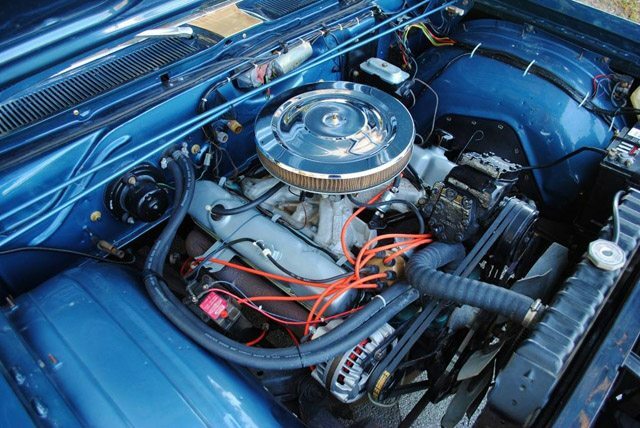 Extremely clean in and out, the Fury comes with a 383 V8, automatic transmission and ice cold factory air. 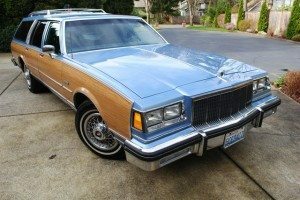 The massive Fury is said to start right up and drive and run very well.